Yoichiro Ueno, president & CEO, Honda Cars India Ltd. Photo: Sanjay K Sharma India has become the largest market in terms of retail sales for Japanese auto major Honda in the Asia Oceania region in the first half of this fiscal and the company is looking to build on the momentum, according to a senior company official. The Asia Oceania region for the company does not include home market of Japan and China. India overtook Indonesia this year to become its top market in the region. 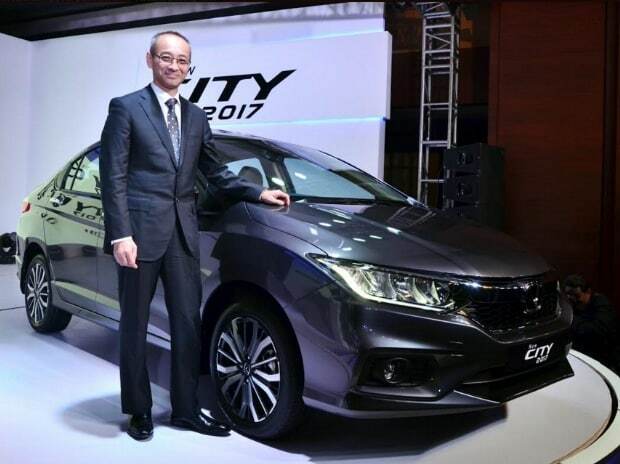 "We have grown 22 per cent in the first half of this fiscal and in terms of volumes (retail sales) we have become the number one market for Honda in Asia Oceania region," Honda Cars India Ltd (HCIL) President and CEO Yoichiro Ueno said here. In the first nine months of this year, Honda's retail sales in India stood at 1,35,501 units as against 1,30,587 units in Indonesia. Sales in India have been driven mainly by the company's new compact SUV WR-V and its best selling sedan City. With a view to enhance its position in India, Honda has announced that it would launch six new products in the next three years and is reinforcing its position as a premium brand to build on its sales momentum. "There is a shifting of preference in India towards premium products and since last year we have repositioned our brand image. We have also reviewed specification levels of our products in line with consumer demand," Ueno said. So far, the company has received good feedback from its consumers, he added. When asked about the company's plans for the small car market in India, which accounts for over 70 per cent of the Indian market, he said Honda would play on its strength. "The small car market is very competitive and the market is gradually shifting upwards to premium, which is our strength," Ueno said. While acknowledging that the small car segment in India was still very large, he did not comment on plans for new models in mass market entry level arena. At present, Honda sells Brio in the compact car segment in India along with sub-four metre sedan Amaze along with other premium products such as Jazz hatchback and SUVs BR-V and CR-V and Accord Hybrid besides WR-V and City.